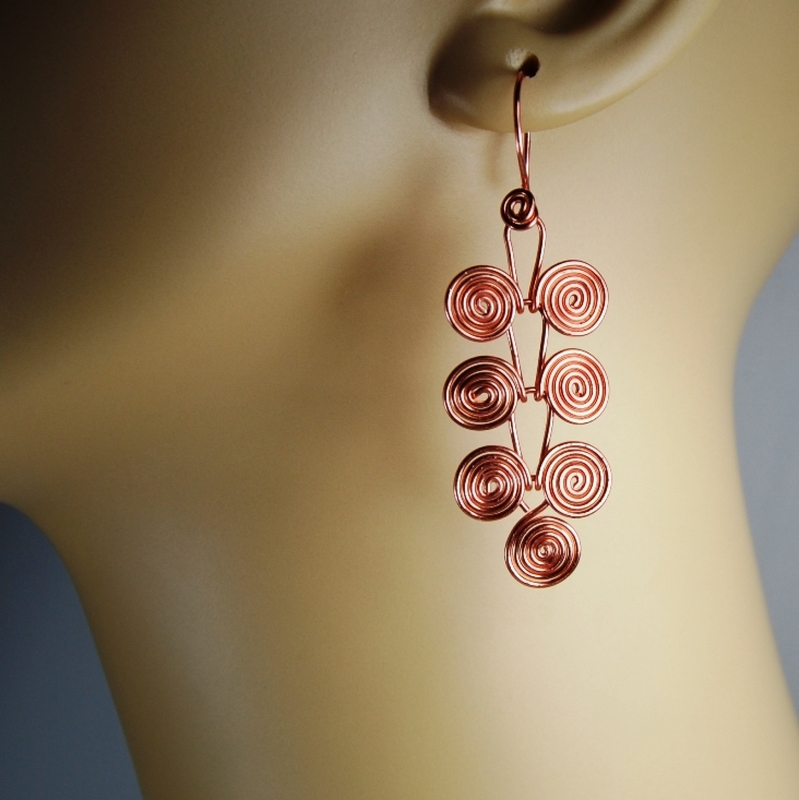 Make these wire wrapped historic Macedonian Egyptian dangle earrings with coils or spirals--it's a DIY tutorial! Similar earrings may well have been worn by Egyptian and Macedonian Queens--maybe even Cleopatra! They are swingy, fun, and catch the light (and the compliments!) Plus, with a little imagination (and more wire), you can just keep duplicating the design to make a bracelet or necklace! Make these historic earrings! This 40-step tutorial includes more than 60 photos. Written for the jewelry crafter who is comfortable bending wire and making coils. Includes instructions for these pretty, decorative earwires, too! This listing is for the tutorial, not the earrings pictured. Within 24 hours of purchase (probably much faster), you will receive an email with the tutorial .pdf file attached. If you don't receive it, please check your SPAM folder. If it's not there, contact me and it will be re-sent! This tutorial is FOR YOUR USE ONLY and may NOT be copied, duplicated, given away or shared with others--either to individuals or in a class environment. It took many long hours to create, photograph, and edit. If your friends or students are interested, please feel free to send them the link to this listing. You may teach from the material, but please have each student purchase a copy and add a little bit to your class about protecting artists designs and their copyrights. It's in their best interest, too! Thank you! 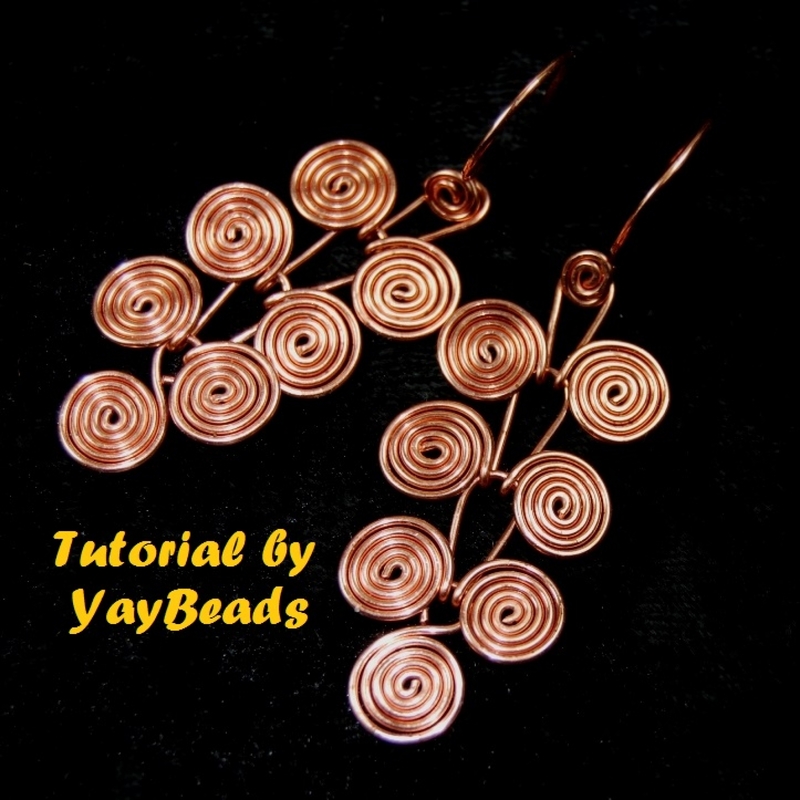 You may sell (online or in person) or give away the jewelry you create with this tutorial. Sorry, there are no returns, refunds, or exchanges on tutorials.